Polynomial: An expression, usually in one variable, with terms having a coefficient and a variable raised to an integral power. Figure 2: Polynomial in standard form. Figure 3: Polynomial not in standard form. 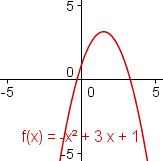 Figure 4: Polynomial in factored form. A polynomial is an expression with one or more terms. Each term has a coefficient and one or more variables each with an integer exponent. The standard form of a polynomial is the highest exponent first, followed by the next highest, and so on down to the constant term. See figures 2 and 3. The factored form of a polynomial is a polynomial expressed as factors with the least degree. A factor of the least degree is a number, a first degree polynomial, or a second degree polynomial with no real roots. Each term of a polynomial is separated from other terms by addition or subtraction. 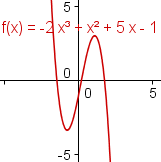 In the polynomial in figure 5, the first term is -4. The second term is 2x. The third term is x2. Each term of a polynomial has a coefficient. The coefficient can be any real number. For the term x2 the coefficient is 1. The property of multiplying by 1 states that 1·x2 = x2, so the 1 is implied. The following real numbers can be coefficients: 1/2, 0.3, π, log210. Notice that a coefficient may be 0. According to the property of multiplying by 0 anything times 0 is 0. In figure 4, the term x does not appear. This is because it has a term of 0. This term can also be written 0x. Because 0x = 0, this term is not normally written. Each term has a variable with an integer exponent. 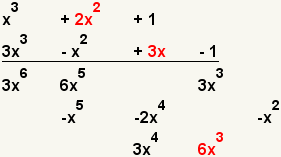 In the case of the term 2x in figure 4, the exponent of 1 is implied. This is because x1 = x. The constant term in figure 4 is -4. If the constant term is 0, it is not usually written. If the polyomial has only a constant term, has no terms with variables, it is considered a degenerate polynomial. Click on the check box of the answer you think is correct. Is 3x2 - 2x + 1 a polynomial? YesYes. Correct. 3x2 - 2x + 1 is a polynomial. Each term has a real coefficient and a variable with an integer exponent. NoNo. Incorrect. 3x2 - 2x + 1 is a polynomial. Each term has a real coefficient and a variable with an integer exponent. Is x + 1 a polynomial? YesYes. Correct. x + 1 is a polynomial. Each term has a real coefficient and a variable with an integer exponent. NoNo. Incorrect. x + 1 is a polynomial. Each term has a real coefficient and a variable with an integer exponent. Is -2x1/2 + 3x - 4 a polynomial? YesYes. Incorrect. 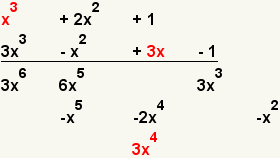 In the term -2x1/2, the exponent 1/2 is not an integer. NoNo. Correct. 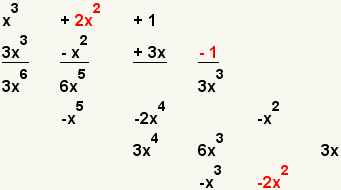 In the term -2x1/2, the exponent 1/2 is not an integer. Is 1/2x2 - 8x + 1 a polynomial? YesYes. Correct. 1/2x2 - 8x + 1 is a polynomial. Each term has a real coefficient and a variable with an integer exponent. NoNo. Incorrect. 1/2x2 - 8x + 1 is a polynomial. Each term has a real coefficient and a variable with an integer exponent. Is -5x2 + 4x a polynomial? YesYes. Correct. -5x2 + 4x is a polynomial. Each term has a real coefficient and a variable with an integer exponent. Note that the constant term is 0, and so is omitted. NoNo. Incorrect. -5x2 + 4x is a polynomial. Each term has a real coefficient and a variable with an integer exponent. The constant term is 0, and so is omitted. Is -x2.3 + 1 a polynomial? YesYes. Incorrect. -x2.3 + 1 is not a polynomial. The exponent on the term -x2.3 is not an integer. NoNo. Correct. -x2.3 + 1 is not a polynomial. The exponent on the term -x2.3 is not an integer. YesYes. Correct. A constant can be considered a degenerate polynomial. 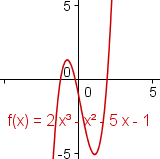 This polynomial can be written 3x0, since x0 = 1. NoNo. Incorrect. A constant can be considered a degenerate polynomial. 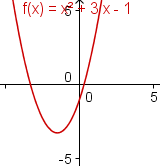 This polynomial can be written 3x0, since x0 = 1. The degree of a single variable polynomial is the highest exponent. 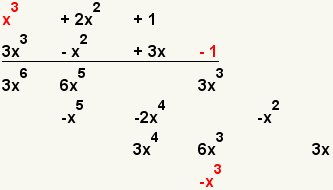 In figure 6, the highest exponent is 4, so the degree of the polynomial is 4. What is the degree of the polynomial 3x2 - 2x + 1? 00: Incorrect. There is a term with an exponent of 0, but the highest exponent is 2, so the degree of the polynomial is 2. 11: Incorrect. There is a term with an exponent of 1, but the highest exponent is 2, so the degree of the polynomial is 2. 22: Correct. The highest exponent is 2, so the degree of the polynomial is 2. 33: Incorrect. There is no term with an exponent 3. The highest exponent is 2, so the degree of the polynomial is 2. 44: Incorrect. There is no term with an exponent 4. The highest exponent is 2, so the degree of the polynomial is 2. 55: Incorrect. There is no term with an exponent 5. The highest exponent is 2, so the degree of the polynomial is 2. What is the degree of the polynomial -3x4 + 2x3 - 2x + 1? 00: Incorrect. There is a term with an exponent 0, but the highest exponent is 4, so the degree of the polynomial is 4. 11: Incorrect. There is a term with an exponent 1, but the highest exponent is 4, so the degree of the polynomial is 4. 22: Incorrect. There is no term with an exponent 2. The highest exponent is 4, so the degree of the polynomial is 4. 33: Incorrect. There is a term with an exponent 3, but the highest exponent is 4, so the degree of the polynomial is 4. 44: Correct. The highest exponent is 4, so the degree of the polynomial is 4. 55: Incorrect. There is no term with an exponent 5. The highest exponent is 4, so the degree of the polynomial is 4. What is the degree of the polynomial 6? 00: Correct. A constant can be considered a polynomial of degree 0. 11: Incorrect. A constant can be considered a polynomial of degree 0. 22: Incorrect. A constant can be considered a polynomial of degree 0. 33: Incorrect. A constant can be considered a polynomial of degree 0. 44: Incorrect. A constant can be considered a polynomial of degree 0. 55: Incorrect. A constant can be considered a polynomial of degree 0. The degree of a multi-variable polynomial is the highest sum of the exponents on the variables. For example, the polynomial x2y + 3x2y3 has a degree of 5: (2 + 3 = 5). Table 1: End behavior of polynomials. As the argument of a polynomial moves towards positive or negative infinity, the value of the polynomial also moves towards positive or negative infinity. This is called the end behavior of the polynomial. For polynomials with even degree, both ends of the polynomial point in the same direction. 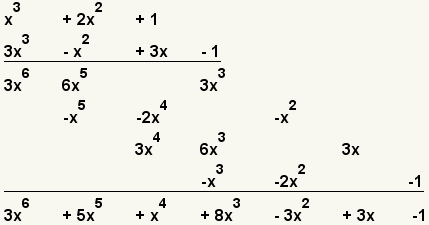 For polynomials with odd degree, the ends of the polynomial point in different directions. Polynomials with a positive term of the highest degree go up on the right. Polynomials with a negative term of the highest degree go down on the right. Click on the points on the blue siders and drag them to change the figure. Manipulative 1 - End Behavior of a Polynomial Created with GeoGebra. If the leading sign is positive, the right side of the polynomial goes towards infinity. If the leading sign is negative, the right side of the polynomial goes towards negative infinity. If the degree is even, the left side of the polynomial goes towards the same value as the right side. If the degree of the polynomial is odd, the left side of the polynomial goes towards the opposite value of the right side. The roots of a polynomial are the values the variable of a polynomial can take when the polynomial is set equal to zero. A root of a polynomial can also be called a zero of a polynomial. For example, take the binomial x - 3. Setting the binomial to zero gives x - 3 = 0. 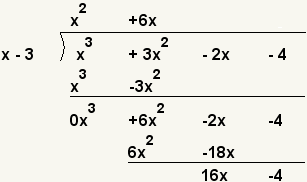 Solving for x gives x = 3. So 3 is a zero of the binomial x - 3. One can also say that 3 is a root of the binomial x - 3. For more information on finding roots of polynomials, see Factoring Polynomials. A polynomial of degree 2 is called a quadratic. A polynomial of degree 3 is called a cubic. A polynomial with exactly 2 terms is called a binomial. Click on the points on the sliders and drag them to change the figure. Manipulative 2 - Addition of Polynomials Created with GeoGebra. When adding two polynomials, like terms are added together. The easiest way to do this is to put the polynomials in standard form, one under the other. Addition of polynomials is associative: P(x)+[Q(x)+R(x)] = [P(x)+Q(x)]+R(x)]. Addition of polynomials is commutative: P(x)+Q(x) = Q(x)+P(x). Click on the red and green points in manipulative 1 and drag them to change the figure. What shape does h(x) make if a1 = -a2? Click for hint. Hint: Click on slider a1 in the manipulative and drag it so that it equals -a2. If f(x) opens upward (a1 > 0) and g(x) opens downward (a2 < 0), in which direction will h(x) open? Click for hint. Hint: Change a1 and a2 in the manipulative. What is the value of a1 + a2 when h(x) opens upward? What is the value of a1 + a2 when h(x) opens downward? 1 These are the polynomials to add. 2 Put the first polynomial in standard form, from the highest degree term to the lowest. 3 Put the second polynomial in standard form, from the highest degree term to the lowest. 4 Line up the polynomials, one under the other. Since the first polynomial does not have an 'x' term, fill in 0x. 5 Add the terms vertically. 6 This is the result. Subtraction of polynomials is like addition of polynomials. Instead of adding like terms, one subtracts like terms. Subtraction of polynomials is associative: P(x)-[Q(x)-R(x)] = [P(x)-Q(x)]-R(x)]. Subtraction of polynomials is not commutative: P(x)-Q(x) ≠ Q(x)-P(x). 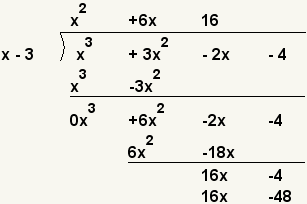 1 These are the polynomials to subtract. 2 Put the polynomials in standard form, one under the other. 3 Subtract the highest degree terms. 3x4 - x4 = 2x4. 4 Subtract the next highest degree terms. 0x3 - 3x3 = -3x3. 5 Repeat the process with the next terms. -2x2 - -2x2 = 0x2. 6 Repeat the process with the next terms. 3 - -4 = 7. 7 This is the result. To multiply polynomials, multiply each of the terms of the first polynomial by each of the terms of the second polynomial. Then add like terms. Multiplication of polynomials is associative: P(x)·[Q(x)·R(x)] = [P(x)·Q(x)]·R(x)]. Multiplication of polynomials is commutative: P(x)·Q(x) = Q(x)·P(x). 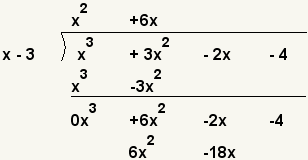 1 These are the polynomials to multiply. 2 Line the polynomials one under the other. 3 Multiply the first terms of the polynomials. 4 Multiply the second term of the first polynomial with the first term of the second polynomial. 5 Multiply the third term of the first polynomial with the first term of the second polynomial. 6 Multiply the first term of the first polynomial with the second term of the second polynomial. 7 Multiply the second term of the first polynomial with the second term of the second polynomial. 8 Multiply the third term of the first polynomial with the second term of the second polynomial. 9 Multiply the first term of the first polynomial with the third term of the second polynomial. 10 Multiply the second term of the first polynomial with the third term of the second polynomial. 11 Multiply the third term of the first polynomial with the third term of the second polynomial. 12 Multiply the first term of the first polynomial with the forth term of the second polynomial. 13 Multiply the second term of the first polynomial with the forth term of the second polynomial. 14 Multiply the third term of the first polynomial with the forth term of the second polynomial. 15 Add all the like terms. 16 This is the result. Division of polynomials is a lot like long division. Instead of dealing with digits, one deals with the terms of the polynomial. Division of polynomials is associative: P(x)÷[Q(x)÷R(x)] = [P(x)÷Q(x)]÷R(x)]. Division of polynomials is not commutative: P(x)÷Q(x) ≠ Q(x)÷P(x). x3 + 3x2 - 2x - 4 by x - 3. 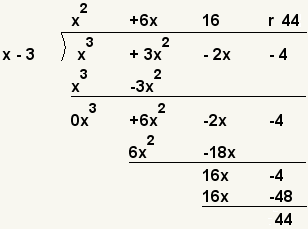 2 Arrange the polynomials like long division with the divisor on the left and the dividend on the right. 3 What value times x equals x3? x · x2 = x3. So put x2 on the top and the product of x2 and x - 3 on the bottom. x2·(x - 3) = x3 - 3x2. 4 Subtract x3 - 3x2 from the dividend. (x3 + 3x2) - (x3 - 3x2) = 0x3 + 6x2. 5 Bring down the rest of the terms. 6 What value times x equals 6x2? x · 6x = 6x2. So put 6x on the top and the product of 6x and x - 3 on the bottom. 6x·(x - 3) = 6x2 - 18x. 7 Subtract 6x2 - 18x from the last difference. (6x2 - 2x) - (6x2 - 18x) = 0x2 + 16x. Bring down the last term. 8 What value times x equals 16x? x · 16 = 16x. So put 16 on the top and the product of 16 and x - 3 on the bottom. 16·(x - 3) = 16x - 48. 9 Subtract 6x - 48 from the last difference. (16x - 4) - (16x - 48) = 44. 10 Since x - 3 can not go evenly into 44, 44 is the remainder. McAdams, David E.. Degree of an Equation . allmathwords.org. All Math Words Encyclopedia. Life is a Story Problem LLC. 3/12/2009. http://www.allmathwords.org/en/d/../d/degreeequation.html. McAdams, David E. Polynomial . 3/28/2019. All Math Words Encyclopedia. Life is a Story Problem LLC. http://www.allmathwords.org/en/p/polynomial.html.